Need a few more hearts for mom? Just click here and here. 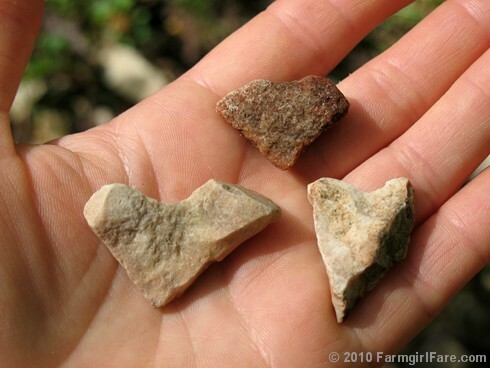 © FarmgirlFare.com, the rock solid foodie farm blog where I'm amazed (and thrilled) that so many heart shaped rocks keep finding me—sometimes four or five in one day. I'm not picky when adding to my collection, and as you can see, most of my heart rocks aren't perfectly shaped, but like a scrap of paper tacked up on my bulletin board says: Love can't always be perfect—love is just love. I have no idea where I read that quote, but whoever said it was right. It's been a while since you've shown your heart rock collection. I am still amazed at the number of rocks you've collected. 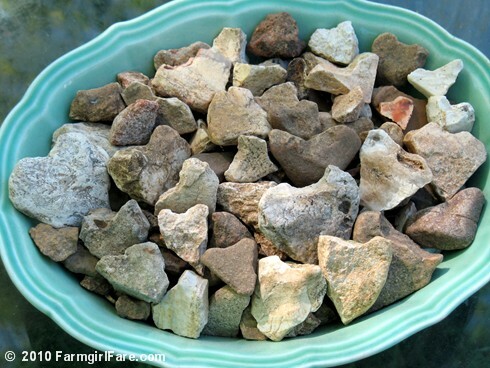 I was pleasantlY surprised to find another person in this world who collects heart rocks!! 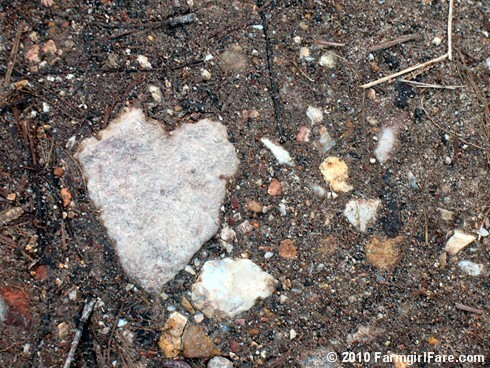 I started a few years back when I went to the cemetery where my ex-husband was buried and it seemed everytime I went there, a "heart rock" just jumped right into my view... So I started collecting them. I don't go looking for them, rather only pick up the ones that just happen to catch my eye on my path thru life. All I can say is "YOU ROCK GIRL!!!" Since reading your blog I've started my own collection of heart rocks. It's fun to look for them and a surprise when you stumble upon one.